Recently an acquaintance confided in me that he had lost his job and was having difficulty catching on in a new position. It got me to thinking about when I took the big leap from employee to entrepreneur. Now, I made my move voluntarily, but what I learned from that move can help others who may have been forced into considering starting their own business due to the current economy. In effect, if you find yourself without a job and with little chance of getting one even close to your prior income or skills level, you are going to be faced with one of two choices: 1. You can still struggle in vain to get a job. 2. You become an entrepreneur. Use your mental or physical skills to produce a business income, whether it is from your home or an office. It cost me $25,000 in cash to start my business in 1992 when I quit my day job at a San Diego Bank. That was a chunk of change but got me to the break even point and beyond. And 1992 was in the middle of the last big economic rough patch. So as you see, it can be done, if you plan your steps carefully. First, lay out a plan for the business that most suits your skills. Find people who want your services. Hire yourself as the first employee of your new business. Use your mental or physical skills to produce a business income, whether it is from your home or an office. (I have been a home-based SBA loan brokerage since I started in 1992.) Don't think that you don't have skills. Someone had a reason to employ you before you got laid off. Calculate what your time is worth and make that the business income basis for your company. Start simple but work that simple business day to day until someone says “yes” to your business. If it takes 14 hours a day to get there, you must invest the time. Every business, whether it is a handy man or a doctor, is one and only one thing - first and foremost it is a marketing company. And success selling is a numbers game. The more people you meet, call, email or know, the better chance you have to get that first sale. One important note, do not sell yourself short on the income you expect to gain from your business. You can always do the work or business job for less, if that is what it takes to get the business. But you will never be able to increase your work value if you price your work too low. Find out what others charge for their work and price accordingly. There is one thing I am absolutely certain of, dear reader: Your skills are marketable even if your former employer and present businesses didn't see that. That is their loss. But I assure you that there are people and businesses out there who will hire you because you bring first-rate skills to the table. People respect the business owner and entrepreneur because they know that a business owner has the guts to go for it. They salute the entrepreneur because they know how hard it is to make a go of it. So even if you are The Accidental Entrepreneur, all they know is that you took the risk. Don't take no for an answer and never give up. If you are able to draw breath your are able to start and build a business. It may be scary, even terrifying, to go out on your own, but isn't just sitting idly by with no hope scarier? Recently Bob Coleman reported on the rise of two newer methods of funding for small and medium sized businesses in this continuing difficult credit market. In his Inside Main Street report, he talked about how both hedge funds and local business groups are getting in on the lending market. Both of these are in response to the continued difficulty businesses are having accessing loans through traditional lenders - the same lenders that are saying there is no demand for loans. The goal is to help businesses that need a small loan in order to make upgrades or to expand in some way. The Baltimore Sun reports that a group of local businesses has joined together to create a non-profit that will begin providing small loans to other businesses. According to the article the group, Federal Hill Main Street, plans to begin taking applications next month for loans up to $3000. The goal is to help businesses that need a small loan in order to make upgrades or to expand in some way. The loans are not designed to help a struggling business to survive. Businesses applying for a loan will need to provide the usual document - business plan, financial statements, credit history, etc. - but they will not have to pass the intense scrutiny they would from a traditional bank. Perhaps an additional benefit on both sides is that local businesses will be working with other local businesses to help the local economy grow. Additionally, successfully completing a loan with one of these local business non-profit groups could make a small business more credit-worthy when it comes time to approach the traditional lenders again. As Bob Coleman pointed out, there are issues of concern. With hedge funds, there is a great deal that is not closely scrutinized, and that leaves room for abuse of information by fund managers. Might some managers use inside information to guide trading in stocks? There is also a concern that some of these hedge funds might be in it for a quick buck rather than a long-term investment. A company considering working with a hedge fund needs to due its own due diligence to make sure the fund has the best interests of everyone in mind. Remember that finding funding for any business with capital ranging from a few thousand dollars to one million dollars - and I have seen them all - means that a person could get turned down once, twice or many times. If you are considering any type of funding for your business, the first thing you need to do is work with a professional to identify the best source to approach. Many times business owners have no idea what they might or might not qualify for, and this can result in serious long-term mistakes. With over 30 years in the lending industry, I know the questions to ask to help you identify your real needs, strengths and opportunities. You can contact me through this website or at the links below. If you are in the restaurant industry and are considering a loan, please click on this video link for a special message on SBA loans and restaurants. In my last post I talked about a Wall Street Journal article on restaurants and SBA loans. Today here are some of my thoughts on eateries. Restaurants can be highly successful and profitable. The business model deals with some of the most basic human desires - to eat, to be entertained, and to enjoy the social atmosphere of a group of people. A restaurant combines all these under one roof, and this makes owning an eatery fun and entertaining as well. The rock-solid business strengths of the popular chains in this and other countries are a tribute to the entrepreneur's realization of the 'people' factor that is intrinsic to the theme. But restaurants do fail, and the reason that some fail is that the owners did not systematize their business model. They neglected to take into account the many and varied factors that contribute to the success or failure of the model. Tasty food, a popular location or friendly people do not assure success; bringing them together under one roof is only the first step. The factors that contribute to the failure of a restaurant are exactly the factors which make for its success. Hiring of first rate people, rigid cost controls, a meticulous eye to the bottom line and serving food people really like - not necessarily 5-Star quality, but certainly worth the money - all go into making a restaurant a viable business. The enjoyable food experience and a location that brings people to the door are also vital measures in the recipe for success. This post is too short to account for all of the elements (another WSJ article provides some insights from a restaurateur) but be assured, if you want to start or buy a restaurant you must do your homework and know what you are doing. You need to live, breathe, eat and sleep the business. You must embed yourself in the industry for years. It is not for the faint if heart or those who are afraid of long hours. It requires enormous research, but it is worth it. Time invested is time that yields success. Eateries are one of the top 5 most profitable businesses in the country. A SINGLE location can net its owner more than a doctor, lawyer, accountant or architect. And take note how long it took these professional to get to their level of income. Time is on your side in developing a restaurant concept or ramping on to an existing successful concept. What's more, a good concept restaurant can be expanded easily once the basic location proves itself (again, look at East Village Tavern & Bowl which now has locations in South Bay and North County as well). Look at any successful chain that you enjoy. They are nearly identical in any corner of the country or the world. What you eat today is the same as you ate yesterday - period. On the other hand, if innovation and novelty are your thing and you want to WOW the people, that is completely available, just as is the more common, mundane eatery serving burgers and fries. It should also be noted that the iconic McDonald's just hired 62,000 employees in April 2011 after receiving 1,000,000 employment applications. Why is this business expanding when others are failing? What are they doing right? Why do people want to work there? Because Mickey D's works. You would do well to take a page from that success story. More on that another time. A recent article in the Wall Street Journal points out a fact that I have noticed in my work with small businesses of all types: restaurants are not necessarily high risk endeavors. Yes, restaurants have many fixed costs and regulations to deal with, as the article points out, but overall they are no more likely to default on an SBA loan than many other businesses. So just what is it about restaurants that make them so popular with lenders? Restaurants of all types received nearly 60,000 loans over the past decade worth over $13 billion. One of the more interesting facts in Maltby’s article is that, in spite of the acknowledged and perceived risks of restaurants, the charge-off rate for the category is only 4.4% compared to women’s clothing stores at 12% or 14% for nail salons. Out of 1128 different industries that received SBA loans during the period studied (October 1, 2000, to September 30, 2010), full service restaurants ranked 408 and limited service restaurants ranked 204 in charge offs. So what does this all mean for restaurants? From what I have seen, while restaurants have many challenges, the people who open them have a certain level of dedication that can see them through. Perhaps all of those challenges mean that restaurant owners have to be that much more prepared to bring their dreams to fruition. And once those challenges are met, restaurants have great rewards for their owners. An example of this is East Village Tavern & Bowl in downtown San Diego which received an SBA loan to help it get off the ground. You can learn more about this successful restaurant in the information video on this site. In my next post I will go into more detail about restaurants and what I like about them. If you are thinking about opening or expanding a restaurant and would like to see if an SBA loan could help, please contact me and we can set up a time to discuss your needs and plans. With over 30 years of experience in the lending industry I can advise you on the steps you need to take to prepare to submit an application for an SBA loan, and then help you through the process. Feel free to contact me through this site. The SBA announced this week that it is going mobile with a new application for the iPhone. The app, created by Palo Alto Software, will give small business owners and entrepreneurs mobile access to SBA resources and programs through their iPhone, with matching applications for other smart phones to follow. The SBA sees this as a good move since so many business owners now live by their smart phones. The mobile app will help users connect with SBA district office staff and SBA-affiliated counselors and mentors who can provide free, personalized small business assistance. We have seen a major shift in how people do business these days, with smart phones, GPS tracking (not always expected, granted), Twitter feeds, and much more. The new app will provide access to the SBA’s YouTube and Twitter accounts as well as the links to office and counselors. In addition, it includes a business start up cost calculator and a “partner locator” that will help users find SBA offices, Small Business Development Centers, Women’s Business Centers and SCORE. It will be interesting and instructive to see whether this new application actually helps small business owners or if it is simply a new gadget to add to your phone and forget about. If you decide to download the app to your iPhone and use it, I would enjoy hearing from you on how it well it works and whether it actually helps you. Until then, you can always contact me through this site with any questions you have about funding your business or how to take it to the next level. If you are in the restaurant business, be sure to check out the short video we posted about our work with East Village Tavern & Bowl on this page. A recent article by Marshall Eckblad in the Wall Street Journal (“Debunking the Myths About SBA Loans”) took a good look at some of the more pervasive mis-thoughts about SBA loans. I wanted to visit his explanations and add some of my own thoughts in the process, since I have worked with SBA loans for over thirty years. These common misperceptions can result in business owners missing out on possible funding or making mistakes that cost them in the short and long term. 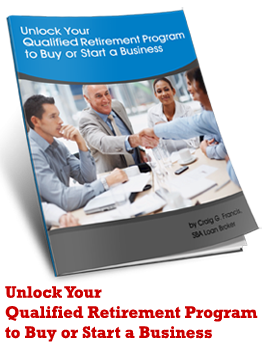 SBA guaranteed loans are designed primarily to help businesses start, grow, and expand their reach. One common myth is that an SBA loan is a “loan of last resort” and should only be used when all other attempts at funding have failed. In truth, SBA guaranteed loans are designed primarily to help businesses start, grow, and expand their reach. Part of the confusion comes from the SBA emergency programs for disaster relief and part from the programs for disadvantaged businesses. And while these may appear to be a majority of the SBA business at times, due to media coverage, as Eckblad points out, “the SBA's bread and butter is facilitating loans to viable businesses.” SBA 7(a) loans help new and expanding businesses get off to a good start, while 504 loans can help a business purchase commercial real estate. A second misperception is that lenders face no risks with SBA-guaranteed loans, so they should have no issues with approval. Connected with this is the belief that the SBA actually lends money through the bank. While lenders might wish this were so, a traditional 7(a) loan only guarantees 75% to 85% of the loan with the remainder on the lender. Now, a 25% risk is better than a 100% risk, but it is still some risk. And with the concerns in the industry over what the federal government wants “risk” to look like, some lenders are still hesitant even with SBA backing. 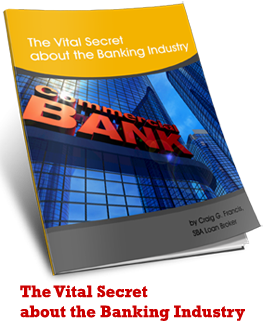 Because the lender has “skin in the game,” the applicant must show that he or she has a viable business as well as a strong plan for moving forward. Two other myths Eckblad mentions can be connected - that SBA loans take forever to close and that they can bury the business owner in paperwork. Of course, any loan seems to take forever when you are waiting to hear if you have been approved, and paperwork always seems onerous when you are in the midst of it. This is where the help and advice of an expert in the lending industry can be of great assistance. Having someone who knows the ins and outs of the application and funding process can make a difference in the stress and frustration levels. One last myth, which Eckblad does not touch on, is the belief that SBA loans are not for startup businesses. As I pointed out in a previous post, an SBA loan can be an excellent funding vehicle for a startup business, particularly a startup franchise. Granted, a new startup is going to need a lot more going for it than an existing business, but with the right backing, planning, and presentation even a new idea can move forward. Again, your best bet is to get together with and expert and see if your business idea has enough merit to apply for an SBA loan or if a different funding method should be used. You can contact me and we can set up a time to discuss your business, its needs, and the best direction for you to go. On top of this, new regulations that pit the borrower's financing needs against the bank's natural desire to make loans are creating the stories in the accompanying article. As I have said hundreds of times, this rough patch was not the fault of the business borrowers. The responsibility lies with the banks and financial institutions who screwed up royally and now are under the gun to tighten and restrain their credit facilities. Unfortunately, what is already a common factor in small business, the early and frequent failure of the startups, is combined with the very rough and weak economy and coupled with a U6 statistical unemployment of nearly 18% (which includes unemployed, part-time workers looking for full time, and those no longer looking). The resulting statistics make small businesses look even less attractive to lenders. Talk to numerous franchisees and the franchisor to be certain that ALL loan sources are engaged. Seek professional assistance and advice to cover all bases. The simple fact is that some loans will not be approved in this environment or economy. There are business models with much higher degrees of failure, and some people are just not suited to jumping into business at this time. It can be extremely difficult to make a go of the business. So if you are certain you want to do this - start a business and borrow a lot of money to get it going - make sure you have funding before you spend ANY money that can't be recovered. Know you can get off the ground before you buy any equipment or sign any contracts, like those for leased space, that can't be cancelled if funding can't be obtained. Get your total outlay of money in line, including investment capital and loans, before you jump into the void. I wish you all the success in the world. I know the effort is worth it when you succeed. If I can be of help contact me. I have spent the past 30+ years working with small businesses and lenders of all sizes, and I can answer most of the questions you have and many you haven’t thought of yet. In December, 2010, the SBA announced two new programs aimed at entrepreneurs and small business owners in underserved communities. The programs, Small Loan Advantage and Community Advantage, were designed to make it simpler for business owners in underserved categories to access funding. The programs would give improved access to low-dollar loans that SBA and U.S. Department of Commerce studies have shown are important for business development and growth in these areas. The programs were also designed to replace the existing Community Express pilot loan program. These lenders will have access to 7(a) loan guarantees of 85 percent up to $150,000 and 75 percent over $150,000. On Thursday, April 28, 2011, the SBA announced the first group of lenders that have been authorized to provide loans through the Community Advantage program. These lenders - primarily “community-based, mission-focused financial institutions,” will have access to 7(a) loan guarantees of 85 percent up to $150,000 and 75 percent over $150,000. The program will cap loans at $250,000 and will provide a “streamlined” application process. The lenders involved are primarily Community Development Financial Institutions, SBA Certified Development Companies and SBA nonprofit microlending intermediaries. The newly authorized lenders include Cen-Tex CDC from Austin, Texas, The Progress Fund from Greensburg, Pa., Eastern Maine Development Corporation from Bangor, Maine, Idaho-Nevada Community Development Financial Institution in Pocatello, Idaho, Kentucky Highlands Investment Corporation based in London, Ky., and CDC Small Business Finance in San Diego, Calif. The lenders may begin immediately offering loans through the Community Advantage program. The SBA indicates that it will continue approving lenders going forward. If you are a small business owner or entrepreneur in an SBA-recognized underserved community and you would like more information about how this program might help you, contact me and we can set up a time to discuss your situation and needs. You can also receive two complementary reports by joining our email list. Back in February I wrote about the new initiative President Obama, Steve Case, and Carl Schramm announced to try to jump start the process of new business creation: the Startup America Partnership. since it is now near the end of April, it seemed like a good time to check back and see just what has happened and if there have been any results so far. One of the first moves the Partnership made was to appoint Scott Case, cofounder of Priceline.com, as CEO. Scott Case has since been traveling around the country speaking with various industry leaders about the project. This could be a good move for the organization, as Case has a reputation for getting things done both as an entrepreneur and more recently in his work with the organization Malaria No More. A bigger announcement came this week with the news that Microsoft, Google, HP, and other major companies had committed to providing over $400 million in support and resources to the Partnership. This will include discounts on products from HP, training and mentoring by the likes of Cisco and Ernst & Young, and advertising on Google. The Partnership also added several nonprofit companies, including Angel Capital Association and The National Venture Capital Association. Startup America has also retooled its website to make it more useful for entrepreneurs to access information. The site now leads with the question “Which Stage Are You In?” and provides choices from Idea to Speedup, depending on the answer. The Partnership is also providing a variety of events, including talks, workshops and seminars for business owners. Finally, the site encourages visitors to share their stories and questions and to join a Twitter feed. While all of this is helpful, and no doubt some businesses will find success through the Partnership, there are many issues still facing small businesses that have not been addressed here. The uncertainty of tax rates and Obama’s pledge to end what he considers a “giveaway” to the rich - the very people who create jobs and, might I add, a category he falls into as well - will cause many business owners to hold off on growth and expansion. Why set yourself up to pay even higher taxes for success? Also looming over the economy are the myriad effects of Obamacare - some of which we still are unsure of the extent. Yes, Nancy, Congress voted for it but we still don’t know all that’s in it. If you have gotten involved with any of the elements of Startup America, I would like to hear from you. Has it been a positive experience, negative, neutral, or yet to be seen? And if you are a business owner who is ready to grow and you need some advice on funding, please contact me. I have over 30 years of experience working in the industry and have helped over 2500 companies in that time. There are very few questions that I have not heard already. As this year progresses, we are seeing more changes and movement in the small business lending field. Some of it is questionable, but there are positive signs out there. We are by no means out of the woods yet, and there are still many rocks ahead, but perhaps the financial waters are becoming a little less choppy. First of all, a report in Investment News cites a new study by Greenwich Associates, the financial services research and analysis company. According to the study, it appears that lending may be returning to pre-Recession levels - at least by some measurements. The report is based on the analysis of over 500 businesses with total annual sales in the $1 to $10 million dollar range. According to Greenwich, in the previous 12 months about 59% of those businesses surveyed had applied for funding, with 57% actually receiving money - which is close to what they say are “historic” levels. Greenwich explains that this improvement in small business financing numbers follows on the earlier return of near-normal lending to stronger middle market companies. The improvement was due in part because of smaller lenders moving in after major banks cut back on their lending to small businesses. This was followed by the big banks moving back in to the field after paying off large chunks of their TARP money. As I have pointed out many times, banks are in the business of lending money, so sooner or later they would have to return to that mission. Many questions remain regarding the big banks’ real commitment to small businesses, but again, any movement forward is an improvement. On another lending front, the Small Business Lending Fund continues to straggle along. That is the $30 billion fund that the Small Business Jobs Act created last fall, with the idea of making it more attractive for community banks to lend to small businesses. Alas, in the best practices of the Federal Government, the details have been agonizingly slow in coming. An article in Finance & Commerce reports that the fund, which was first outlined by President Obama back in January, 2010, still does not have all of its regulations in place. According to the report, it took over three months for the rules applying to C-Corp banks to be finalized, and the rules for S-Corp banks are still unfinished. For a program that was supposed to stimulate lending to those small businesses that traditionally pull the country out of down economic times, this is not a confidence booster. As the article points out, many banks in Minnesota have chosen not to pursue funds through the program, and this is echoed in many other parts of the country. Another reason mentioned, and one I saw back when this was put in place, is the concern many community banks have about letting Washington have any more hold over how they do business. When the government comes to your door with money in hand, be very careful about what is in the other hand. Finally, it seems that there is a new game in town when it comes to asset-backed securities. CFO.com reports that the first sale of notes backed by a pool of SBA-guaranteed loans was recently completed by Newtek Business Services. The $16 million deal provided $24 million in backing as insurance against the sort of collapse we saw with mortgage-backed securities. The big change here is that Newtek used the unguaranteed portion of loans in the securities, rather than the SBA-guaranteed portion. This is a new wrinkle that will bear some watching to make sure it does not lead to trouble. It will take some time to sort out just what this all means, but one thing that we do know is that money is out there for the right businesses. The trick is showing lenders that your business is one of those “right” businesses for them to work with. This means knowing how to present and package your company, as well as knowing which lenders to approach. There is a science to creating a successful SBA loan application package, and with over 30 years in the industry I have the experience and the contacts to help you get the right package in front of the right lender. There is, however, something you need to understand - while the major banks in the US, the ones you hear in commercials, claim to be lending $10 billion, or more, to small businesses, the reality is that they are lending to the largest end of the small business spectrum. This spectrum includes the middle market of businesses with sales ranging from $10 million to $100 million. This might be their definition of small business, but it generally does not include the small firms that we most commonly associate with our spectrum of businesses. That means the best bet is either working with a smattering of small community banks or a combination of big and small banks to see which has an open door and a credit culture that will accommodate your situation. If you prefer to work on your business instead of banging on a bunch of bank doors, let me know. I will probably know which banks are most likely to give you the approval you are seeking. Contact me and we can discuss your situation and needs in greater detail.